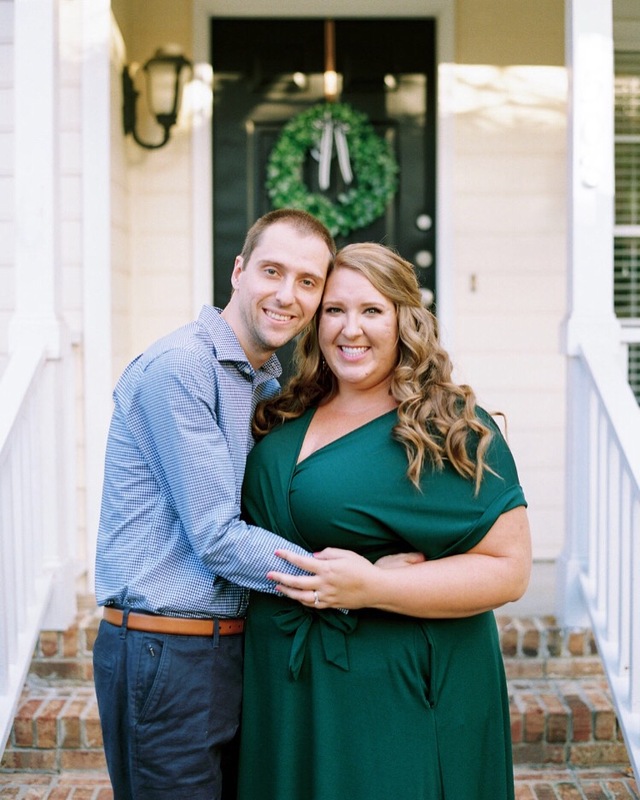 I am so, so excited to introduce to you today’s bridal spotlight, Nicole Thomas. Nicole and Logan will be getting married at beautiful The Little Herb House this weekend in Raleigh! We’ve been busy planning and designing Nicole and Logan’s wedding for just under a year, and it’s incredibly rewarding and so much fun bringing all these details, designs, and plans to life! And when it’s for such a sweet, loving couple… you just can’t help but smile. Nicole is best friend’s with a former college suitemate of mine, and she reached out to me right after she and Logan were engaged. It’s been such a joy reconnecting and getting to know the two of them better, as well as making their wedding day as personalized, fun, meaningful, and wonderful as possible! Nicole is an avid horseback rider and horses are a huge part of her life. In fact, these two own a horse farm! We made sure to incorporate gorgeous equestrian touches throughout the day, and it’s a theme subtly woven throughout many details. With an outdoor ceremony centered on a floral-adorned arbor, a horse and carriage toting the wedding party around, and an incredibly fun reception planned for their guests (s’mores bar, sparkler exit, and all! ), it’s sure to be a wonderful, memorable, joyful day for these two and their family and friends! 1. Tell us a little bit about you and your fiancé, Logan! We met through mutual friends and at first started dating long distance. When Logan moved to NC, we started out growing our first home. We both love animals and wound up settling on an 18 acre farm. We love working together. Usually we make a great time. Logan is definitely a “big picture” kind of person while I focus in on the smaller details. It’s a lot of work but we both love it. I think I’m most excited for Logan to see me in my dress for the first time. Probably our farm lifestyle. We wanted something rustic but also elegant. Saving it for walking down the aisle. Horses, horses, and more horses. Lol – they’re a little addicting and a huge part of my life. I really loved the way Stephanie helped us incorporate some equestrian elements into the wedding – but without it being an overwhelming thing. 10. What is your favorite thing about Logan? It’s hard to pick just one thing! His kindness and work ethic. We’ll be sharing plenty of sneak peaks over on Instagram this weekend, so stay tuned!